So three weeks have now gone by and I'm still not sure if reality has hit that this baby is ours. But he's here and he's drastically changed our lives and we're still adjusting. It's a big adjustment. Sam and I have always been doers. We don't like to sit still for too long and we love to just get up and go. This is obviously much more complicated with Parker, but I am proud to say we've still done quite a bit since Parker's been here. Granted, it's just been little things like go for walks, go grocery shopping, or going to watch Sam play basketball, but hey... every little outing counts these days. This last weekend was a big milestone in Parenthood for us. We took our first family road trip. We went to Clarkston to visit Sam's family and stopped in Spokane on the way to see some friends and my Grandparents. He slept the whole way, both ways, like a champ. Parker loves the car. Thank goodness. And I must say he looks pretty freakin' cute all chubby and slouchy in his little carseat. Yeah, he's gotten to be a little chunk. 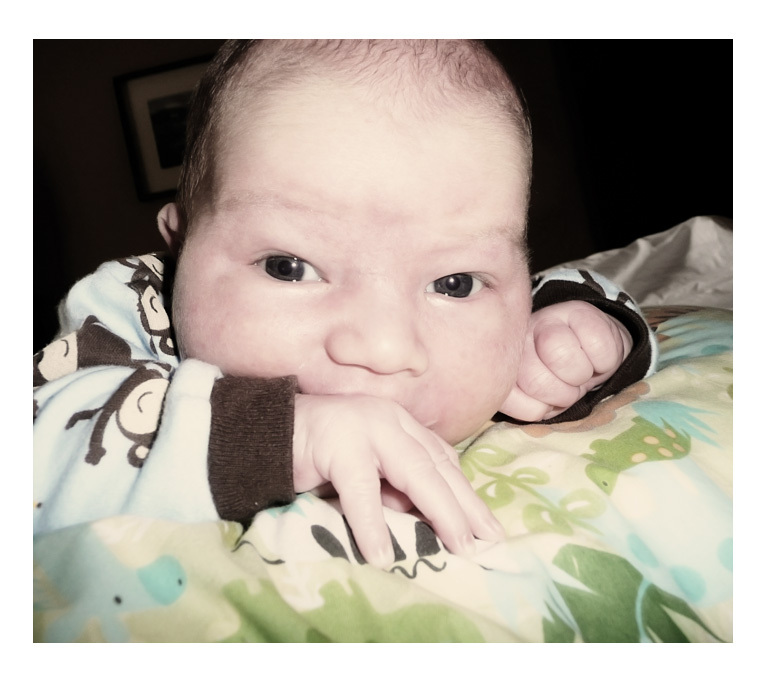 He's gaining weight and already grown out of his newborn onsies. Like my Grandpa said, I must make a good cow. I sure feel like one. We also got to spend a lot of time with Sam's brother Brad and his family. 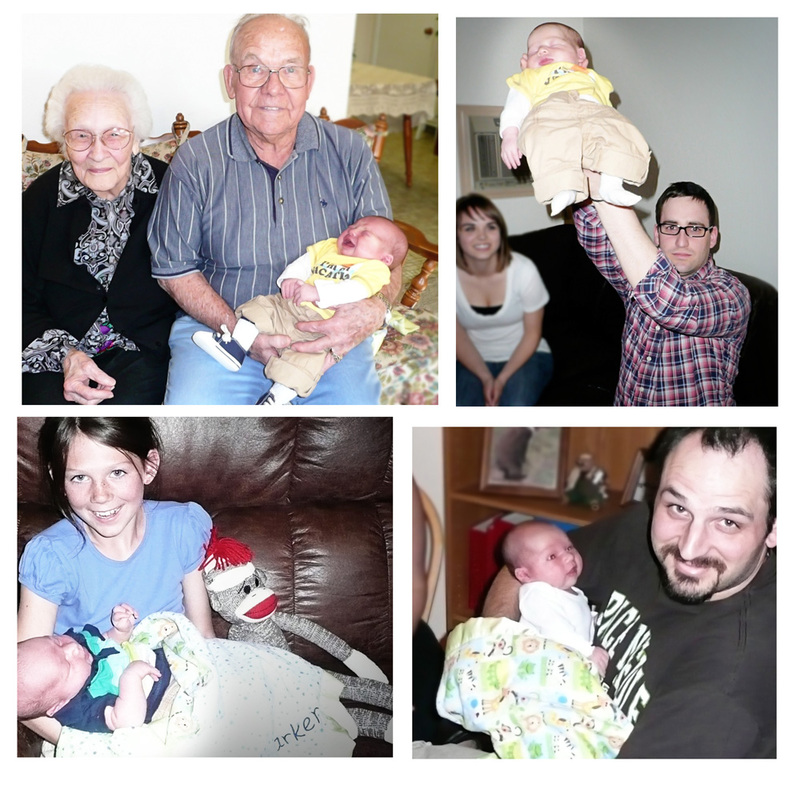 Brad's kids were Parker's first exposure to cousins. So now he's met 3 out of the 18 of them. We had a blast in Clarkston and were shown a good time by Sam's parents as always. All in all, a successful first road trip. And now, your moment of Zen. 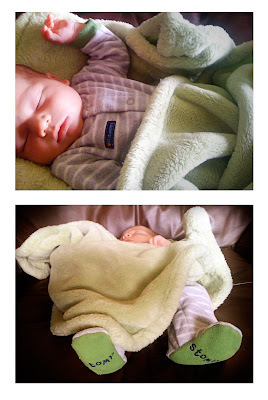 Who doesn't love the cuteness of a sleeping baby? Sleeping babies are probably the closest thing to perfection that you can get. He definitely is a cutie. Babies/kids who travel well is such a blessing. Especially when grandparents live so far away. Babies are awesome travelers when they're young. It is usually the Mommy that has the harder time! At least in my case. Way to go! 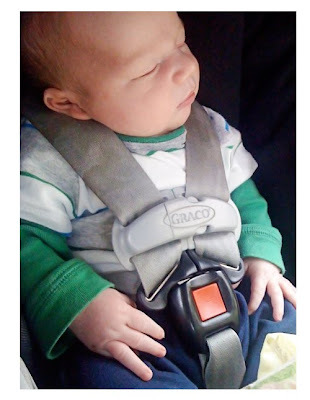 He does look cute and bumpy in his car seat.... Too cute! I can't wait to meet him! I hope you guys are doing well!